Обзор посвящен применению анти-ФНО-препаратов для лечения ревматических болезней у взрослых и детей. Приведены данные отдельных открытых, а также многоцентровых двойных слепых плацебо-контролируемых исследований эффективности инфликсимаба, этанерцепта и адалимумаба. Результаты исследований свидетельствуют о высокой эффективности и безопасности анти-ФНО-терапии во взрослой и детской ревматологической практике. Ключевые слова: инфликсимаб, этанерцепт, адалимумаб, дети, лечение, ревматоидный артрит. 1. Cassidy J., Petty R. Textbook of paediatric rheumatology, 2nd end. New York: Churchill Livigstone. 2002. 2. Tracey K.J. et al. Anti–cachectin/TNF monoclonal antibodies prevent septic shock during lethal bacteriemia. Nature. 1987; 330: 662-664. 3. Beutler B.A. The role of tumor necrosis factor in health and disease. J. Rheumatol. 1999; 26 (Suppl. 57): 16-21. 4. Dinarello C.A., Moldawer L.L. Proinflammatory and anti-inflammatory cytokines in rheumatoid arthritis. A primar for clinicians. Third edition. 2002. Amgen Inc. 351 p.
5. Хаитов Р.М., Игнатьева Г.А., Сидорович И.Г. Иммунология. М.: Медицина. 2000. 430 с. 6. Danks L., Sabokbar A., Gundle R., Athanasou N.A. Synovial American College of Rheumatologyophage-osteoclast differentiation in inflammatory arthritis. Ann. Rheum. Dis. 2002; 61: 916-921. 7. Georgopoulos S., Plows D., Kollias G., 1996; Williams R.O., 1999; Williams R.O., Collagen-induce arthritis in mice: A major role for tumor necrosis factor alpha 2006. Methods Mol. Biol. 2006; 361: 265–284. 8. Williams R.O., Feldmann M., Maini R.N. Anti-tumor necrosis factor ameliorates joint diseasae in murine collagen-induced arthritis. Proc. Natl. Acad. Sci. USA. 1992; 89: 9784–9788. 9. Williams R.O. Collagen induced arthritis in mice: a major role for tumor necrosis factor-alpha. Methods Mol. Biol. 2006; 361: 265–284. 10. Chu C.Q., Field M., Feldman M., Maini R.N. Localisation of tumor necrosis factor α in synovial tissues and at cartilage pannus junction in patients with rheumatoid arthritis. Arthritis Rheum. 1991; 34: 1125–1132. 11. Heilig B., Wermann M., Gallati H. et al. Elevated TNF receptor plasma concentrations in patients with rheumatoid arthritis. Clin. Invest. 1992; 70: 22–27. 12. Насонов Е.Л. Фактор некроза опухоли–α — новая мишень для противовоспалительной терапии ревматоидного артрита. РМЖ. 2000; 17: 18–22. 13. Tak P.P., Taylor P.C., Breedveld F.C. et al. Decrease in cellularity and expression of adhesion molecules by anti-tumor necrosis factor α monoclonal antibody treatment in patients with rheumatoid arthritis. Arthritis Rheum. 1996; 39: 1077-1081. 14. Black R.A., Rauch C.T., Kozlosky C.J. et al. A metalloproteinase disintegrin that releases tumor necrosis factor–α from cells. Nature. 1997; 385: 729-33. 15. Barksby H.E., Milner J.M., Patterson A.M. et al. Matrix metalloproteinase 10 promotion of collagenolysis via procollagenase activation: implications for cartilage degration in arthritis. Arthritis Rheum. 2006; 54: 3244–3253. 16. Feldman M., Brennan F., Maini R.N. Role of cytokines in rheumatoid arthritis. Ann. Rev. Immunol. 1996; 14: 397–440. 17. Насонов Е.Л. Фактор некроза опухоли–α — новая мишень для противовоспалительной терапии ревматоидного артрита. Клиническая фармакология и терапия. 2001; 1: 64–70. 18. Алексеева Е.И., Валиева С.И., Апаева Д.В. Эффективность и безопасность комбинированной иммуносупрессивной терапии циклоспорином А и метотрексатом у больных тяжелым ювенильным ревматоидным артритом. Вопросы современной терапии. 2006; 5 (2): 19–27. 19. Ruperto N., Nikishina I.P., Pachanov E.D. et. al. A randomized double-blind clinical trial of two doses of meloxicam compared with naproxen in children with juvenile idiopathic arthritis: short- and long-term efficacy and safety results. Arthritis Rheum. 2005; 52: 563–572. 20. 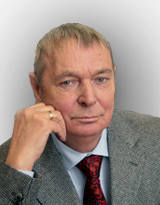 Алексеева Е.И., Шахбазян И.Е. Принципы патогенетической терапии тяжелых системных вариантов ювенильного ревматоидного артрита. Серия Аутоиммунные заболевания М. 2002. №5. 127 с. 21. Lomater C., Gerloni V., Gattinara M. et al. Systemic onset juvenile rheumatoid arthritis: a retrospective study of 80 consecutive patients followed for 10 years. J. Rheumatol. 2000; 27: 491–496. 22. Minden K., Niewerth M., Listing J. et al. Long-term outcome in patients with juvenile rheumatoid arthritis. Arthritis Rheum. 2002; 46: 2392–2401. 23. Foster H.E., Marshall N., Myers A. et al. Outcome in adults with juvenile idiopathic arthritis: a quality of life study. Arthritis Rheum. 2003; 48: 767–775. 24. El-Gabalawy H.S., Lipsky P.E. Why do we not have a cure for rheumatoid arthritis? Arthritis Res. 2004; 4 (Suppl. 2): 297–301. 25. Woo P., Wilkinson N., Prieur A.M. et al. Open label phase 2 trial of single, ascending doses of MRA in Caucasian children with severe systemic juvenile idiopathic arthritis: proof of principle of efficacy of IL–6 receptor blocade in this type of arthritis and demonstration of prolonged clinical improvement. Arthritis Res. Ther. 2005; 7: 1281–1288. 26. Olsen N.J., Stein C.M. New drugs for rheumatoid arthritis. New Engl. J. Med. 2004; 350: 2167–2179. 27. Насонов Е.Л. Перспективы фармакотерапии воспалительных ревматических заболеваний: моноклональные антитела к фактору некроза опухоли. РМЖ. 2001; 9: 7-9. 28. Lorenz H.M., Kalden J.R. Perspectives for TNF a targeting therapies. Arthritis Research. 2002; 4: 17-S24. 29. Kalden J.R. Emerging role of antitumor necrosis factor therapy in rheumatic disease. Arthritis Res. 2002; 4: 34–40. 30. Elliot M.J., Maini R.N., Feldmann M. et al. Randomized double blind comparison of chimeric monoclonal antibody to tumor necrosis factor α (cA2) versus placebo in rheumatoid arthritis. Lancet. 1994; 344: 1105–1110. 31. Maini R.N., Breedveld F.C., Kalden J.R. et al. Therapeutic efficacy of multiplay intravenous infusion of anti-tumor necrosis factor α monoclonal antibody combined with low-dose weekly methotrexate in rheumatoid arthritis. Arthritis Rheum. 1998; 41: 1552–1563. 32. Maini R.N., St. Clair E.W., Breedveld F.C. et al. Infliximab (chimeric anti-tumor necrosis factor alpha monoclonal antibody) versus placebo in rheumatoid arthritis patients receiving concomitant methotrexate: a randomized phase III trial. Lancet. 1999; 354: 932–939. 33. Lipsky P.E., van der Heijde D.M., St Clair E.W. et al. Infliximab and methotrexate in the treatment of rheumatoid arthritis. N. Engl. J. Med. 2000; 343: 1594–1602. 34. Vis M., Wolbink J., Soesbergen R. et al. Early changes in bone metabolism in patients with rheumatoid arthritis treated with infliximab. Ann. Rheum. Dis. 2002; 61: 51. 35. Bredveld F.C., Emery P., Keystone E. et al. Infliximab in active early rheumatoid arthritis. Ann. Rheum. Dis. 2004; 63: 149–155. 36. Dreher R., Flaig W., Leitrke D. Treatment of rheumatoid arthritis by intraarticular injections with TNF-alpha blockers. Arthritis Rheum. 2001; 44: 45. 38. Baeten D., Demetter P., Kruithof E. et al. Effect of TNF alpha blockade on synovial histology in spondyloarthropathy. Arthritis Rheum. 2000; 43: 404. 39. Bosh van den F., Baeten D., Kruithof E. et al. Treatment of active spondy loarthropathy with infliximab the chimeric monoclonal antibody to tumor necrosis factor α. Ann. Rheum. Dis. 2001; 60: 33. 40. Collantes–Estevez E., Munoz-Villanueva M.C., Canete–Crespillo J.D. Infliximab in refractory spondyloarthropathies: a multicentre 38 week open study. Ann. Rheum. Dis. 2003; 62: 1239–1240. 41. Brandt J., Listing J., Alten R. et al. Two year follow up results of the anti-TNF alpha antibody infliximab in active ankylosing spondylitis. Arthritis Rheum. 2003; 48: 172. 42. Brandt J., Listing J., Alten R. et al. Two-year-follow up data of infliximab therapy in patients with active ankylosing spondylitis: Socoieconomic consequences. Arthritis Rheum. 2003; 48: 173. 43. Braun J., Pham T., Sieper J. et al. International ASAS consensus statement for the use of anti-tumor necrosis factor agents in patients with ankylosing spondylitis. Ann. Rheum. Dis. 2003; 62: 817-824. 44. Gottlieb A., Chadhari U., Mulcahy L. et al. Infliximab monotherapy is a remittive treatment for plaque type psoriasis. Arthritis Rheum. 2002; 46: 161. 45. Menter A., Evans R., Dooley L.T. et al. Infliximab improves signs of plaque psoriasis in patients with psoriatic arthritis. Arthritis Rheum. 2003; 48: 167. 46. Baert F., Noman M., Vermeire S. et al. Influence of immunogenecity on the long-term efficacy of infliximab in Crohn’s disease. New Engl. J. Med. 2003; 348: 601-608. 47. Hanauer S.B., Feagan B.J., Lichtenstein G.R. et al. Maintenance infliximab for Crohn’s disease: the ACCENT I randomized trial. Lancet. 2002; 359: 1541–1549. 48. Yarici Y., Ercan D., Leff L. et al. Infliximab in the treatment of rheumatoid arthritis. Ann. Rheum Dis. 2002; 61: 380. 49. Storrs P., Hayes J., Scott G., et al. Drug-induced lupus and inductions of anti-nuclear antibodies from infliximab in the treatment of rheumatoid arthritis. Ann. Rheum. Dis. 2002; 61: 381. 50. St. Clair E.W., Infliximab treatment for rheumatic disease: clinical and radiological efficacy. Ann. Rheum. Dis. 2002; 61: 67–69. 51. Feletar M., Brockbant J.E., E. Schentag C.T. et al. Treatment of refractory psoriatic arthritis with infliximab. Ann. Rheum. Dis. 2004; 63: 156–161. 52. Elliot M.J., Woo P., Charles P., et al. Suppression of fever and the acute-phase response in a patient with juvenile chronic arthritis treated with monoclonal antibody to tumor necrosis factor-α (cA2). Br. J. Rheumatol. 1997; 36: 589–593. 53. Vougiouka O, Rizou S, Grafakou O. Infliximab and etanercept in the treatment of juvenile idiopathic arthritis. The Athens experience [abstract]. Ann. Rheum. Dis. 2001; 60: 17–52. Abstract P176. 54. Honkanen V.E., Tynjala P., Vahasalo P. et al. Infliximab in juvenile arthritis: 1-year follow-up [abstract]. American College of Rheumatology 66th. Annual Scientific Meeting. October, 24. 2002. New Orleans. Abstract 1272. 55. Lahdenne P, Vahasalo P, Honkanen V. Infliximab or etanercept in the treatment of children with refractory juvenile idiopathic arthritis: an open label study. Ann. Rheum. Dis. 2003; 62: 245–247. 56. Billiau A.D., Cornillie F., Wouters C. Infliximab for systemic onset juvenile idiopathic arthritis: experience in 3 children. J. Rheumatol. 2002; 29: 1111–1114. 57. Kimura Y., Imundo L.F., Li S.C. High dose infliximab in the treatment of resistant systemic juvenile rheumatoid arthritis [abstract]. American College of Rheumatology 65th. Annual Scientific Meeting. November, 11–16. 2001. San Francisco. Abstract 1316. 58. Tutar E., Ekici F., Nacar N. et al. Delayed maculopapular, urticarial rash due to infliximab in two children with systemic onset juvenile idiopathic arthritis. Rheumatol. 2004; 43: 674–675. 60. Corona F., Scarazatti M., Dell’erra L., Beltramelli M., Carnelli V., Bardare M. Active refractory juvenile idiopathic arthritis: treatment with infliximab. Efficacy and safety. Ital. J. Pediatr. 2004; 30: 165–168. 61. Richards J.C., Tay–Kearney M.L., Murray K., Manners P. Infliximab for juvenile idiopathic arthritis-associated uveitis. Clin. Experiment Ophthalmol. 2005; 33: 461–468. 62. Rajaraman R.T, Kimura Y., Li S., Haines K., Chu D.S. Retrospective case review of pediatric patients with uveitis treated with infliximab. Ophthalmology. 2006; 113: 308–314. 63. Lovell D.J., Ruperto N., Cuttica R. et al. Randomized trial of infliximab plus methotrexate for the treatment of polyarticular juvenile rheumatoid arthritis [poster]. American College of Rheumatology 68th Annual Scientific Meeting. October, 16–21. 2004. San Antonio. Poster 523. 64. Ruperto N., Lovell D.J., Cuttica R., Wilkinson N., Woo P. et al. A randomized, placebo-controlled trial of infliximab plus methotrexate for the treatment of polyarticular course juvenile rheumatoid arthritis. Arthritis Rheum. 2007; 56: 3096–3106. 65. Алексеева Е.И., Алексеева А.М., Бзарова Т.М., Валиева С.И., Афонина Е.Ю. Эффективность лечения инфликсимабом резистентных форм ювенильного ревматоидного артрита. Вопросы современной педиатрии. 2006; 5 (2): 20. 66. Baeten D., De Keyeser F., Kruithof E. et al. Systemic review of serious and atypical infections in spondyloarthropathy patients treated with anti-TNF. Arthritis Rheum. 2002; 46: 432. 67. Gottlieb A., Chadhari U., Mulcahy L. et al. Infliximab monotherapy is a remittive treatment for plaque-type psoriasis. Arthritis Rheum. 2002; 46: 161. 68. Chaturvedi V.P. Pilot study of chimeric monoclonal anti–tumor necrosis factor alpha anti-body (infliximab) with methotrexate in polyarticular juvenile idiopathic arthritis [abstract]. American College of Rheumatology 66th Annual Scientific Meeting, October, 24. 2002. New Orleans. Abstract LB12. 69. Masatlioglu S., Gogus F., Cevirgen D. et al. Infliximab in the treatment of refractory juvenile idiopathic arthritis. Arthritis Rheum. 2002; 46: 481. 70. Crandall W.V., Mackner L.M. Infusion reactions to infliximab in children and adolescents: frequency, outcome and predictive model. Aliment. Pharmacol. Ther. 2003; 17: 75-84. 71. Gerloni V., Pontikaki I., Gattinara M. et al. Efficacy of repeated intravenous infusions of an anti-TNF-α monoclonal antibody (infliximab) in persistently active refractory juvenile idiopathic arthritis. Results of an open label prospective study. Arthritis Rheum. 2005; 52: 548-53. 72. Barr S.G., Steber W., Kindopp-Bugo K., Martin O.L. Infliximab therapy in the treatment of rheumatoid arthritis in clinical practice. Ann. Rhem. Dis. 2003; 62: 196. 73. Keane J., Gershon S., Wise R. Tuberculosis associated with infliximab, a tumor necrosis factor α – neutralizing agent. New Engl. J. Med. 2001; 345: 1098–1104. 74. Moreland L.W., Margolies G., Heck L.W.Jr . et al. Recombinant soluble tumor necrosis factor receptor fusion protein: toxicity and dose finding trial in refractory rheumatoid arthritis. J. Rheumatol. 1996; 23: 1849–1855. 75. Weinblatt M.E., Kremer J.M., Fleischmann R.M. et al. Etanercept (Enbrel) continues to maintain efficacy while allowing patients to decrease dosage of methotrexate and corticosteroids. Ann. Rheum. Dis. 2003; 62: 183. 76. Genovese M.C., Bathon J.M., Martin R.W. et al. Etanercept versus methotrexate in patients with early rheumatoid arthritis. Two-year radiographic and clinical outcomes. Arthritis Rheum. 2002; 46: 1443–1450. 77. Genovese M.C., Martin R.W., Fleischmann R.M. et al. Etanercept (Enbrel) in early erosive rheumatoid arthritis (Era Trial): 4 year clinical and radiographic data. Ann. Rheum. Dis. 2003; 62: 183. 78. Genovese M.C., Martin R.W., Fleischmann R.M. et al. Etanercept (Enbrel) in early erosive rheumatoid arthritis (Era Trial): 5 year clinical and radiographic data. Ann. Rheum. Dis. 2003; 48: 122. 79. Brandt J., Kariouzov A., Listing J. et al. Six months results of a German double-blind placebo controlled, phase-III clinical trial of Etanercept in active ankylosing spondylitis. Arthritis Rheum. 2002; 46: 429. 80. Calin A., Dijkmans B., Emery P. et al. Assessments of disease activing and functionality by Enbrel-treated ankylosing spondylitis patients in multicenter, placebo controlled trial. Arthritis Rheum. 2003; 48: 172. 81. Davis J.C., van der Heijde D., Braun J. et al. Etanercept (Enbrel) improves signs and symptoms of ankylosing spondylitis: results of a phase 3 multicenter clinical trial. Ann. Rheum. Dis. 2003; 62: 65. 82. Van der Heijde D., Dougados M., Davic J.C. et al. The effects of etanercept on patient-reported outcomes for subjects with ankylosing spondylitis. Arthritis Rheum. 2003; 48: 174. 83. Tan A.L., Holdsworst J., Pease C. et al. Successful treatment of resistant giant cell artheriitis with etanercept. Ann. Rheum. Dis. 2003; 23: 373–374. 84. Ellman M.N., MacDonald P.A., Hayes F.A. Etanercept treatment for diffuse scleroderma: a pilot study. Arthritis Rheum. 2000; 43: 392. 85. Moreland L.W., Cohen S.B., Klareskog L. et al Global safety and safety and efficacy of more than 5 year of etanercept (Enbrel) therapy in rheumatoid arthritis. Arthritis Rheum. 2003; 48: 125. 86. Lovell D., Giannini E., Reiff et al. Long term efficacy and safety of etanercept in children with polyarticular-course juvenile rheumatoid arthritis. New Engl. J. Med. 2003; 48: 218–236. 87. Lahdenne P., Vahasalo P., Honkanen V. Infliximab or etanercept in the treatment of children with refractory juvenile idiopathic arthritis: an open label study. Ann. Rheum. Dis. 2003; 62: 245–247. 88. Kimura Y., Pinho P., Walco G., Higgins G. et al. Etanercept treatment in patients with refractory systemic onset juvenile rheumatoid arthritis. J. Rheumatol. 2005; 35: 935–942. 89. Prahalad S., Bone K.E., Dickens D. et al. Etanercept in the treatment of macrophage activation syndrome. J. Rheumatol. 2001; 28: 2120–2124. 90. Furst D.E., Schiff M.H., Fleischmann R.M. et al. Adahmumab, a fully human anti–tumor necrosis factor a monoclonal antibody, and concomitant standard antirheumatic therapy for the treatment of rheumatoid arthritis results of STAR (Safety Trial of Adahmumab in Rheumatoid Arthritis). J. Rheumatol. 2003; 30: 2563–2571. 91. Weinblatt M.E., Keystone E.C., Furst D.E., Moreland L.W., Weisman M.H., Birbara C.A. et al. Adalimumab, a fully human anti-tumor necrosis factor a monoclonal antibody, for the treatment of rheumatoid arthritis in patients taking concomitant methotrexate the ARMADA trial [published erratum appears in Arthritis Rheum 2003,48 855]. Arthritis Rheum. 2003; 48: 35–45. 92. Keystone E.C., Kavanaugh A.F., Sharp J.T., Tannenbaum H., Hua Y., Teoh L.S. et al Radiographic, clinical, and functional outcomes of treatment with adalimumab (a human anti-tumor necrosis factor monoclonal antibody) in patients with active rheumatoid arthritis receiving concomitant methotrexate therapy a randomized, placebo controlled, 52 week trial. Arthritis Rheum. 2004; 50: 1400–1411. 93. Van de Putte L.B., Atkins C., Malaise M. et al Efficacy and safety of adalimumab as monotherapy in patients with rheumatoid arthritis for whom previous disease modifying antirheumatic drug treatment has failed. Ann. Rheum. Dis. 2004; 63: 508–516. 94. Mease P.J., Gladman D.D., Ritchhn C.T. et al. For the ADEPT Study Group Adalimumab for the treatment of patients with moderately to severely active psoratic arthritis results of a double-blind, randomized, placebo-controlled trial. Arthritis Rheum. 2005; 52: 3279–3289. 95. Moreland L.W., Cohen S.B., Baumgartner S.W. et al Long-term safety and efficacy of etanercept in patients with rheumatoid arthritis. J. Rheumatol. 2001; 28: 1238–1244. 96. Breedveld F.C., Weisman M.H., Kavanaugh A.F. et al. The PREMIER study a multicenter, randomized, double blind clinical trial of combination therapy with adalimumab plus methotrexate versus methotrexate alone or adalimumab alone in patients with early, aggressive rheumatoid arthritis who had not had previous methotrexate treatment. Arthritis Rheum. 2006; 54: 26–37. 97. Burmester G.R., Manette X., Montecucco C.M. et al. Adalimumab alone and in combination with disease-modifying antirheumatic drugs for the treatment of rheumatoid arthritis in clinical practice the Research in Active Rheumatoid Arthritis (ReAct) trial. Ann. Rheum. Dis. Published Online First 20 March 2007. doi: 10 1136/ard. 2006 066761. 98. Nicas S.N., Voulgan P.V., Alamanos Y. et al. Efficacy and safety of switching from Infliximab to adalimumab a comparative controlled study. Ann. Rheum. Dis. 2006; 65: 257–260. 99. Bennett A.N., Peterson P., Zain A. et al. Adalimumab in clinical practice Outcome in 70 rheumatoid arthritis patients, including comparison of patients with and without previous anti-TNF exposure. Rheumatology. 2005; 44: 1026–1031. 100. Van der Bijl A.E., Breedveld F.C., Antoni C.E. et. al. Adalimumab (HUMIRA») is effective in treating patients with rheumatoid arthritis who previously failed infliximab [abstract SAT0062]. Ann. Rheum. Dis. 2005; 64 (Suppl. III): 428. 101. Wick M.C., Ernestam S., Lmdblad S. et al. Adalimumab (Humira) restores clinical response in patients with secondary loss of efficacy from infliximab (Remicade) or etanercept (Enbrel) results from the STURE registry at Karohnska University Hospital. Scand. J. Rheumatol. 2005; 34: 353–358. 102. Brocq O., Albert C., Roux C. et al. Adalimumab in rheumatoid arthritis after failed infliximab and/or etanercept therapy experience with 18 patients. Joint Bone Spine. 2004; 71: 601–603. 104. Ruperto N.; Lovell D.J. ; Goodman S. et al. Long-term efficacy and safety of adalimumab in children with juvenile rheumatoid arthritis (JRA): data over two years of treatment in a phase III study. Abstract presented at: 8th Annual European League Against Rheumatism (EULAR 2007). June 13–16, 2007. Barcelona, Spain. Abstract THU0195. 106. outcomes prognosticators in juvenile rheumatoid arthritis associated uveitis. 107. Ophthalmology. 1997; 104: 236–244. 109. associated uveitis. Current Opin. Ophthalmol. 2003; 14: 395–398. 110. BenEzra D., Cohen E., Maftzir G. Uveitis in children and adolescents. Br. J. Ophthalmol. 2006; 89: 444–448. 111. Tynjala P., Kotaniemi K., Lindahl P. et al. Adalimumab in the treatment of Juvenile Idiopathic Arthritis associated Uveitis – A Pilot Study. Abstract presented at 8th Annual European League Against Rheumatism (EULAR 2007). June 13-16, 2007. Barcelona, Spain. Abstract THU0483. 112. Liza B. Vazquez–Cobian, Thomas Flynn and Thomas J.A. Adalimumab therapy for childhood uveitis. J. Pediatr. 2006; 149: 572–575. Алексеева Е., Бзарова Т., Валиева С., Алексеева А., Чомахидзе А., Исаева К., Чистякова Е., Денисова Р. ПЕРСПЕКТИВЫ АНТИ-ФНО-ТЕРАПИИ В РЕВМАТОЛОГИЧЕСКОЙ ПРАКТИКЕ. Вопросы современной педиатрии. 2008;7(1):56-66. Alexeeva E., Bzarova T., Valieva S., Alekseeva A., Chomakhidze A., Isaeva K., Chistyakova E., Denisova R. ANTI-TNF THERAPY PERSPECTIVES IN RHEUMATOLOGIC PRACTICE. Current Pediatrics. 2008;7(1):56-66.